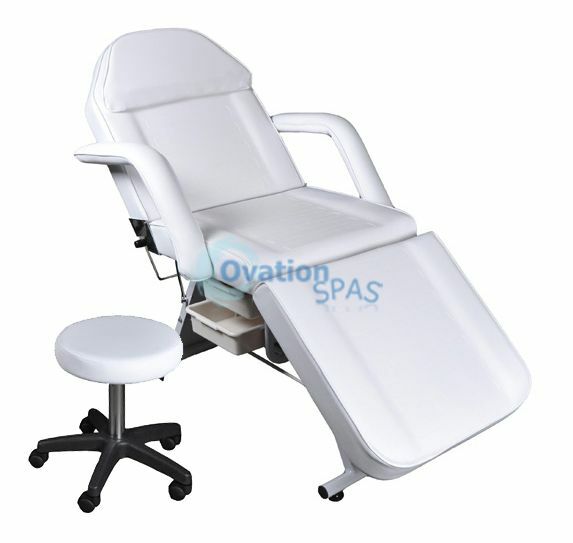 Free Shipping - The Parker Facial Chair is a professional and economic facial bed. It has a elegant design that will accentuate any spa décor. 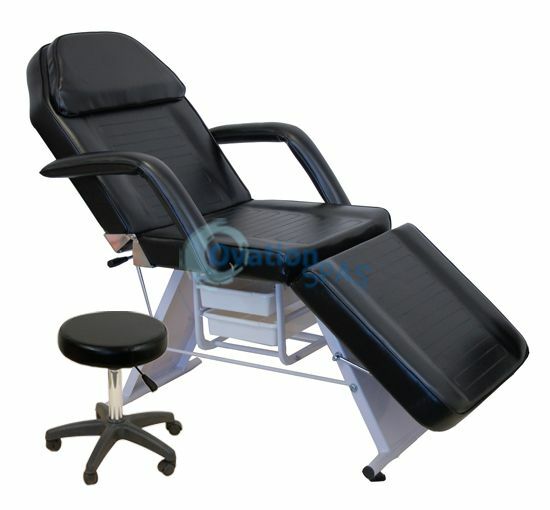 A great feature about this facial chair is that it can be used for massaging, waxing, tattooing, and body piercing. Additionally, it offers a removable face cut out pillow, adjustable backrest and leg rest, removable armrests, sanitary paper holder, 1 hydraulic stool, and 2 storage drawers. Comes available in black or white. - Includes 1 hydraulic stool and 2 storage drawers. - Face cutout under pillow. - Adjustable backrest and leg rest. - Available color: black and white.